Even though Welsh waters are on the doorstep for many watersports enthusiasts, it doesn’t mean you have to tow your pride and joy every time you visit. Store it here and spend more time on the water, and less travelling. 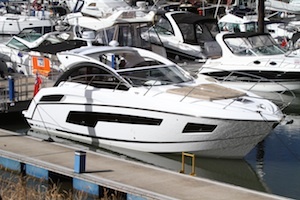 In addition to the range of marinas available, North Wales has plenty of berthing, boatyard and drystack facilities. Perfect for summer and winter storage. Choose from annual or winter-only berthing packages, or shorter visitor or summer berthing options for the more casual sailor. Dry stack storage is a cost-effective solution for smaller boats. Power and personal watercraft owners can also find plenty of secure storage opportunities. Browse our berthing and storage providers here.